Horror and Fantasy all in one pack! It is also the fourth episode of Tales of Rogues! where we introduce new creators and new stories of Bram and Weasel. A non-canon but beautiful story by Irene Roga. But there is more! 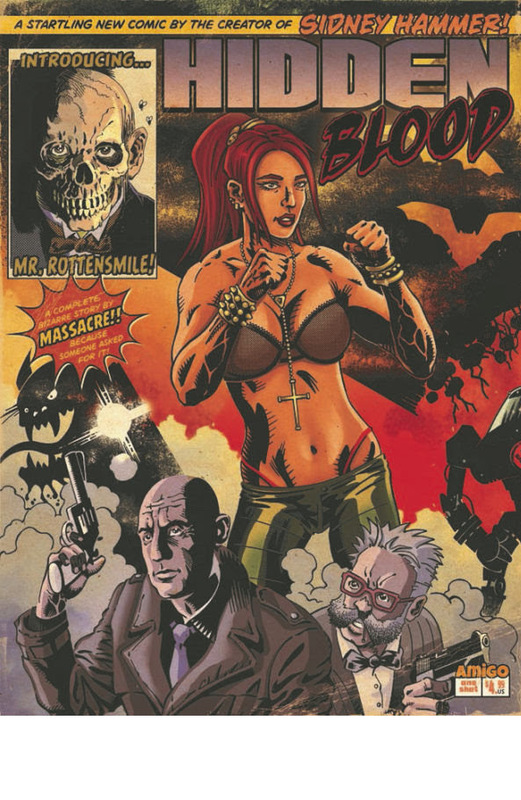 From the mind (and hands) of Sidney Hammer‘s creator Massacre, comes Hidden Blood, a grindhouse tale with vampires, fighters, skeletons and bashed heads! Also, if you missed Roman Ritual, now you have a chance to get your copy! Cover: Toni FejzulaIn the intricate woods teeming with nightmares and apparitions, ranger Ryoko has to face her past, but this time her faith is lacking. Portia, the suicidal young woman, has to face a vital decision. 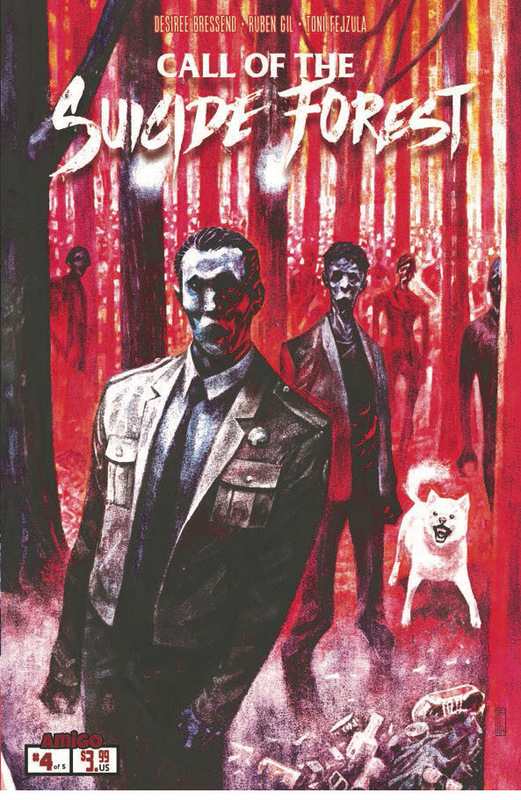 Although in any case, the forest calls them both, and will not cease to call them until keeping them both into its dark heart.This miniseries is the sequel of the acclaimed graphic novel The Suicide Forest, written by El Torres with art by Gabriel Walta, masterfully written by Desiree Bressend with the artwork by Ruben Gil, but it can be read independently. And this time, a Retailer incentive cover, served 1:10, by maestro Pasqual Ferry! Tales of Rogues! #4 (of 6): Games Edge! 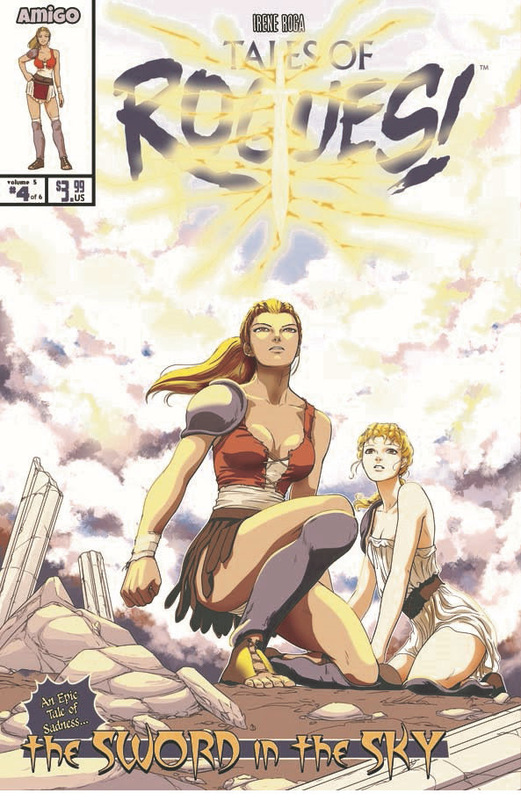 Acclaimed Spanish artist Irene Roga brings an independent, non-canon Rogues tale! In a time beyond our memories, war roared endlessly. When the Bewitched King attacks the kingdom of Beth-mos, the legendary Blade of Heaven becomes the last hope for the humankind. But for Weasel, there‘s nothing more important as the Brotherhood of Warriors! Phil is a Nazi hunter. Clarice is a professional MMA fighter and nightclub dancer. They don‘t work together because Phil‘s work requires him to fight deranged Nazis, mad scientists, and big robots… and Clarice has to fight her way to escape from a vampire master and his evil cohort! The creator of Sydney Hammer, Massacre, brings us another over-the-top, white-knuckle, grindhouse tale! Color: Sandra MolinaFrom the master of Horror El Torres and art by Jaime Martínez! Self-exiled priest John Brennan, a troubled exorcist, is summoned to Rome to stop an ancient evil spreading within the Holy See itself. 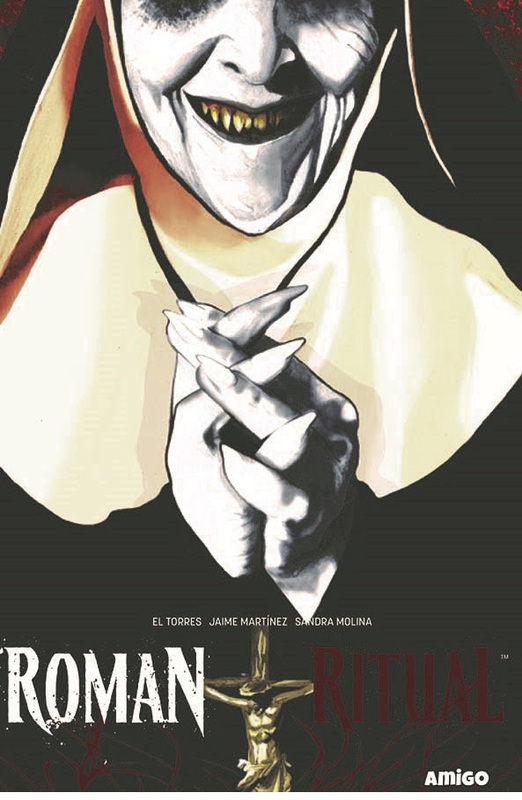 A revolutionary story about possessions and exorcisms, with ties to the church‘s shady past, and a man, almost helpless and alone before the evil that would bring the end of the Catholic church.This volume collects the acclaimed four-issue horror miniseries ROMAN RITUAL, published by AMIGO COMICS (yes, by us).